Hacienda Tres Rios Mexican restaurant Alebrije has been transformed by the creativity of the Sunset World Resorts & Vacation Experiences personnel. The restaurant’s new concept will literally revolutionize your taste buds. The goal of Alebrije Gastronomic Performance is to rescue ancient Mexican culinary traditions and create an unprecedented gastronomic experience. 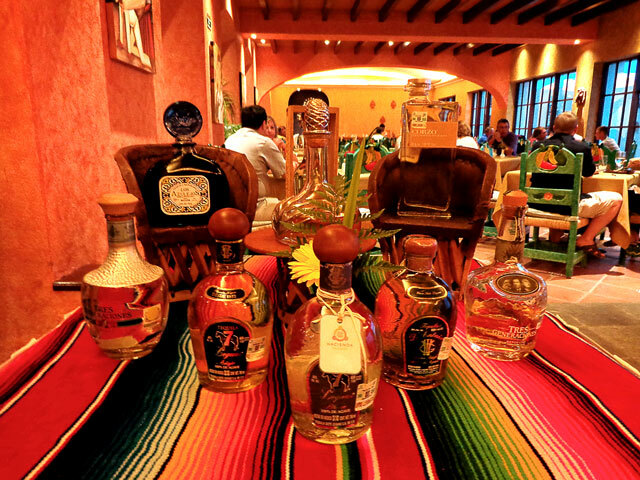 We invite you to enjoy the flavors of Mexican culture like you have never experienced them before. Expect an explosion of flavors from the fusion of pre-Hispanic, colonial and contemporary cuisine while sampling some of Mexico’s best wines, tequilas and mezcals. Chef Ulises will share culinary secrets that have molded Mexico’s cultural identity and will combine new techniques with traditional cooking utensils such as the grinding stone. You will be treated to exceptional contemporary Mexican fare which returns to its roots to emerge transformed and revolutionized. The concept is based on the use of seasonal ingredients, meaning the gastronomic offering will always vary and provide you with the freshest ingredients. Guests will also have the opportunity to create their own performance. Speak with friendly Chef Ulises and invent new gastronomic creations together, then enjoy them with your family or partner. Thanks to the support of architecture and interior design students from Cancun’s Instituto Superior de Estudios Creativos the restaurant’s ambience will change with the seasons and complement the tastes and flavors of the new Alebrije. In addition, select DJs from the Riviera Maya will appear on the weekends to provide appetizing beats. A sensory spectacle awaits you at Alebrije Gastronomic Performance in Hacienda Tres Rios! Congratulations Chef Ulises. Mike, Brenda, Karen and Doug from Canada truly enjoyed your new gastronomic creations. They were fabulous and you should be proud. Chef Hans beyond a doubt brought with him the best chef’s and you are an exceptional chef. We will see you and everyone in 2015.